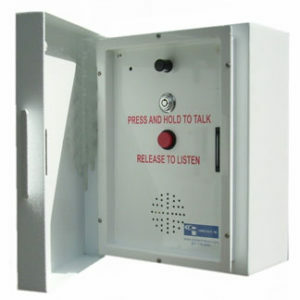 Emergency call boxes provide an affordable and reliable way to communicate with and secure the most remote locations. Our call boxes have a built in two way radio in them that is connected to the Two-Way Radio system of the facilities security team. Built-in voice chips give audible instructions to users requiring assistance, and each unit has an automatic call box ID and location identifier so responding personnel can provide aid. The Emergency call boxes are used primarily in Hospitals, Schools, and Parking lots. They are installed in indoor locations and outdoor locations. These call boxes will help in emergency communications between the public and security teams. They cover an entire area and provide emergency services to people who need them. The height can be 6 feet or 10 feet. Several of our customers have benefited from the instant communication and security offered by these call boxes. Here is an example from Medstar Montgomery Hospital in Olney Maryland. “Staff using the shuttle bus saw an individual with a pipe threatening others arriving in the parking lot, they used the call box to call security who arrived quickly. Security subdued the individual and when the police arrived, he was transported to the hospital’s behavior health unit”. Teams are more dispersed than ever. The variety of users and user equipment in the workplace continues to multiply. Businesses want a way to make communication easier and faster while leveraging the resources they already have in place. Whether you’re in the office, on-site, or at a conference hundreds of miles away, with Motorola’s Team Communications solution your team is always just a “push” away. The 2016 Motorola Commercial Survey offers revealing insights into unified communication trends in a variety of industries across the U.S. and Canada. These ranged from manufacturing to utilities to K-12 education. Conducted in May 2016, the survey represents the view of more than 1,200 professionals, the largest single group of whom currently use Two-Way Radio. Download this Team Communications study. Radios: Use radios for workers who need the loudest, clearest audio on a purpose-built device that can handle the worst conditions. 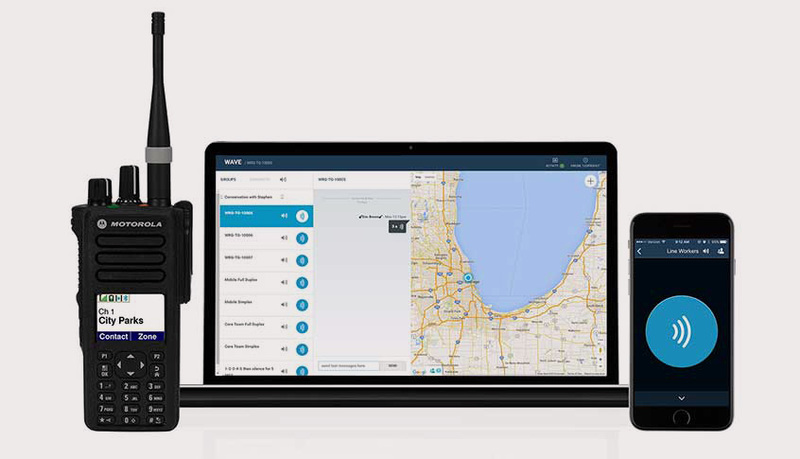 Smartphones: Use WAVE’s iOS or Android app for instant connectivity to teams and individuals from any location. Find out how Team Communications can help your business. Don’t let weak signal inhibit your organization’s success. Problems with cellular, radio or wireless communication can be detrimental to any organization’s ability to function. We provide signal enhancement solutions that will maximize performance, effectiveness, reliability and return on investment. Distributed Antenna Systems (DAS) from Communications Express will help your business to be more productive.